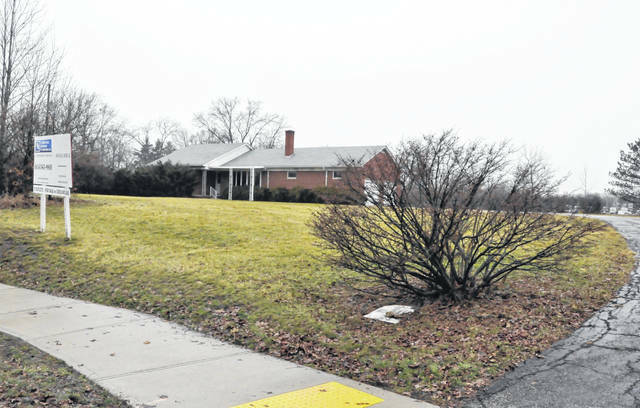 Located near Ace Hardware and First Commonwealth Bank on the city’s west side, the home at 1034 W. Central Ave. will be razed to make way for a Burger King restaurant. The west side of Delaware will soon be home to another fast-food option. The City of Delaware Planning Commission listened to and approved the final development plan for a Burger King restaurant to be constructed at 1034 W. Central Ave.
Carrols Corporation, which also owns the Burger King located on South Sandusky Street, will construct an approximately 2,980-square-foot building on the 1.14 acres between Crestview Drive and the private drive that leads back to the First Commonwealth Bank and Ace Hardware. Currently, there is a residential home on the property that will be demolished ahead of the restaurant’s construction. The building will be constructed out of old Irvington brick and Delaware’s signature limestone. Features of the building include a double drive-thru and 40 parking spots. Near the site, West Central Avenue will be widened to create a left turn lane onto the private drive located just east of the future Burger King location. Amanda Aldridge, of Carrols Corporation, said the Burger King expects to serve 50 cars per hour during its peak times, which she added is during the lunch hours. Commissioner Jim Halter expressed concerns for the residents who live in close proximity. In particular, he discussed the early morning noise that would come with trash pickup at the Burger King, as well as the “odor” produced by the restaurant that “could really destroy sitting outside at night” during the summer. “I don’t know that anything can be done, but I think it’s something we have to be considerate of since the houses have been there since the 1960s,” Halter said. Halter went on to suggest a traffic signal is needed to address the additional traffic the Burger King will create. Commissioner Robert Badger said that no matter the impact the Burger King might have, the intersection would not come close to meeting the volume requirements to warrant a traffic signal. The final development plan will undergo a first reading at the next Delaware City Council meeting, which is scheduled for 7 p.m. on Monday, Feb. 11.